Participation is open to all persons interested in this conference. 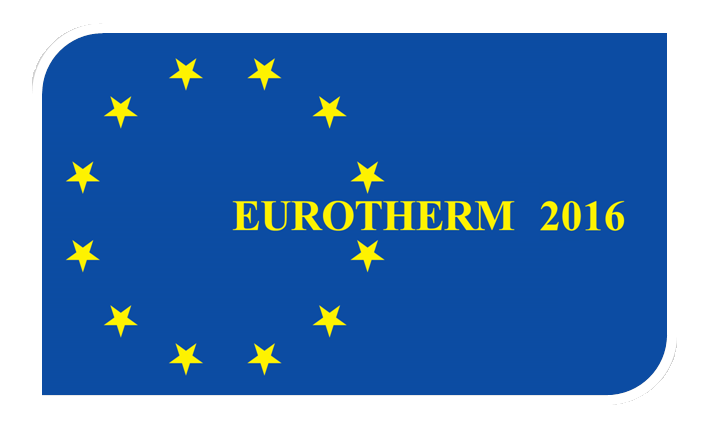 Please note that all persons intending to attend the EUROTHERM 2016 Conference must complete the registration procedure by registration system. Advanced registration is strongly recommended for all participants. The Registration Fee of every presenting author has to be paid before April 15, 2016 to guarantee inclusion of the paper in the programme and on the volume of the Proceedings. *Student status requires confirmation (a special document / letter signed by the Director of the Institute, Head of the Department, etc. or a copy of the student identity card). The confirmation document should be sent to the Jagiellonian University Conference Office (konferencje@uj.edu.pl) before making the payment. Regular full fee includes: all technical sessions, conference materials, coffee breaks, lunches, Welcome Reception and Conference Dinner. This option is available on a „first come first served” basis due to the limited number of participants that can take part in the Conference Dinner. Regular basic fee includes: all technical sessions, conference materials, coffee breaks, lunches and Welcome Reception. Student full fee* includes: all technical sessions, conference materials, coffee breaks, lunches and Conference Dinner. This option is available on a „first come first served” basis due to the limited number of participants that can take part in the Conference Dinner. Student basic fee* includes: all technical sessions, conference materials, coffee breaks and lunches. Accompanying Person fee includes: opening Conference ceremony, Welcome Reception and Conference Dinner. Accompanying person fee does not include conference materials and admission to the lectures. Tick the amount of registration fee and click Pay on-line button. There will be automatic transfer to the payment system (Polcard). Choose Payments and invoices tab. You will find there bank transfer data. Bank transfer title should include the name of the participant and the conference name (EUROTHERM 2016). Cancellation before April 15, 2016 – full refund (minus banking charges). Cancellation after April 15, 2016 – no refund. Cancellation must be conferred in writing.